Some Florida camgprounds have sites they will lease for a year. Although many Florida campgrounds often fill up in the winter when the snowbirds' flock south, some campers prefer to stay year round. Many campgrounds are happy to lease a campsite for the year because it's guaranteed money during the off season. 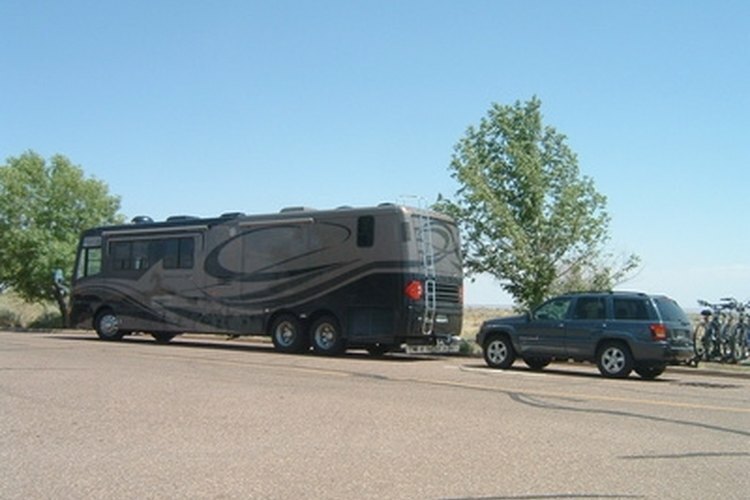 Most of these sites are for RVs, although some campgrounds also have park models that can be rented for a year. In some cases, operators will offer a significant discount for a year's contract, even if you don't live there year-round. Situated in central Florida along the banks of Lake Wales, the Harbor RV Resort and Marina has sites that are available at a yearly rate. These sites, which are also available on a daily, weekly, monthly and seasonal basis, are full hook-ups that come with cable TV. Wi-Fi Internet is available for an extra charge. The resort also has tent sites and park model homes for sale. Recreational features on this tranquil property include a pool, a whirlpool spa, a recreation hall, a pavilion, a shuffleboard court and horseshoe pits. A laundry room, bathrooms and showers are also provided on a property that holds activities such as dinners, bingo nights, card games and fishing tournaments. The Sunshine RV Resort is in central Florida and the Lake Placid area. The resort has permanent sites for RVs and mobile homes in an area that features orange groves, pine trees and lakes that offer great fishing. Although the campground has daily, weekly and monthly rates, campers can also lease a site at the Sunshine RV Resort at a reduced rate for a year. These are full hook-up sites with both 30- and 50-amp electric as well as cable TV connections and Internet access. The sites are on concrete patios and are pull-throughs. Amenities on the property include restrooms, showers, a heated swimming pool, laundry facilities, pool and ping pong tables, public phones, a picnic area and a recreation hall with a clubhouse. Park models can also be leased on a yearly basis as well. Ralph's Travel Park, which can be found approximately 30 minutes northwest of the greater Tampa area, advertises its low annual rates. The yearly sites all come with water, sewer and electric connections. It also provides access to dumpsters, a large outdoor swimming pool with lounge chairs and a recreation hall with four pool tables. The park, which has lighted streets, also has horseshoe pits, shuffleboard courts and holds activities such as card games, a weekly coffee hour, bingo nights and dances. The property also an on-site post office and laundromat. A grocery store and drug store are within walking distance of the park, while a hospital is two miles away.